When spring time rolls around each year, American taxpayers start to work on preparing their tax filings for the previous year. They dig out saved receipts, imagine what they might do if they anticipate a tax refund, and gather the appropriate forms. Unfortunately for those in the Detroit Metro area, libraries this year won’t be able to hand out as many forms as they have in the past. Due to budget cuts within the IRS, the agency is sending out fewer forms this year to neighborhood libraries. While snail mail is far from the only way to file taxes these days, it’s still the easiest and most practical method for many filers. More than a few of these citizens are used to being able to head down to their local library branch for 1040, Schedule A, and other forms to help them sort out their taxes. Those without access to the internet at home or who aren’t tech savvy – which may have spurned them to go to the library for their forms in the first place – are out of luck when the forms these branches have are all given out. Unfortunately for some, like Assistant Director Annamarie Lindstrom of the Roseville Public Library, local residents have even taken out their frustrations on the library staff. These staff has nothing to do with the actual number or distribution of the forms in question. Most people, however, seem to understand that the libraries are simply conduits for the forms from the IRS and have nothing to do with the amount available, she says. Since 2010, the IRS budget has been steadily reduced. The total reductions have represented about 10% of the agency’s operating budget in the past 4-5 years. Luis Garcia, an IRS spokesperson, said that this budget reduction measurably affected the ability of the agency to provide free forms. While he couldn’t cite the exact cost off the top of his head, the forms were an expensive part of the IRS budget. The IRS also has the additional burden of ensuring that filers are complying with the Affordable Care Act. This places additional strain on the already limited IRS resources. Due to an announcement by the IRS in January that it would be reducing its outreach program, which provided these documents to post offices and libraries, these cuts will, unfortunately, not be limited to just one area. Nationwide, other cities will likely feel the same shortage of federal tax forms that Detroit is grappling with right now. Another issue is that Detroit libraries have reported that not only have they not received adequate supplies of tax forms, but booklets, which were included in previous years, never came at all. 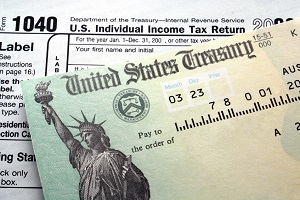 In the past, the IRS has also provided resource booklets to their outlets which help walk taxpayers through how to fill out their forms properly. As time goes forward and generations and technology progress, this will become less and less of an issue due to the ability to print one’s own forms from home. Still that isn’t always a reality for everyone and it certainly isn’t right now. In response, some libraries have opted to help patrons download and print the forms from the IRS website at a reduced printing cost compared to what the library usually charges.